You might say that Richard Dawkins took the world by storm with his anti-religious polemic ‘The God Delusion’. 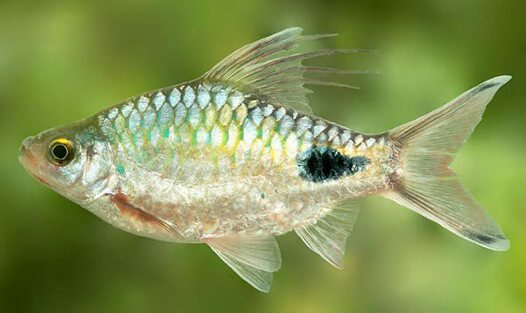 Now, the world renowned author and evolutionary biologist’s legacy has been immortalized in the waters of Sri Lanka after local scientists named an entire new genus of freshwater fish after him. The ‘Dawkinsia’ formally known as the ‘Puntius’ was named after Dawkins by lead researcher Rohan Pethiyagoda, an ichthyologist and internationally acclaimed conservationist, for Dawkin’s “rational explanations” of the universe. “Richard Dawkins has through his writings helped us understand that the universe is far more beautiful and awe-inspiring than any religion has imagined,” Pethiyagoda told AFP on Monday. “We hope that Dawkinsia will serve as a reminder of the elegance and simplicity of evolution, the only rational explanation there is for the unimaginable diversity of life on Earth,” he said. Male Dawkinsia barbs stand out from other barbs due to their long filaments which they use much like a peacock uses its feathers to attract a mate. While the filaments act to the fish’s advantage, they also make the fish extremely conspicuous to predators. The reclassification of the genus comes after an 8-year study of the Puntius species.